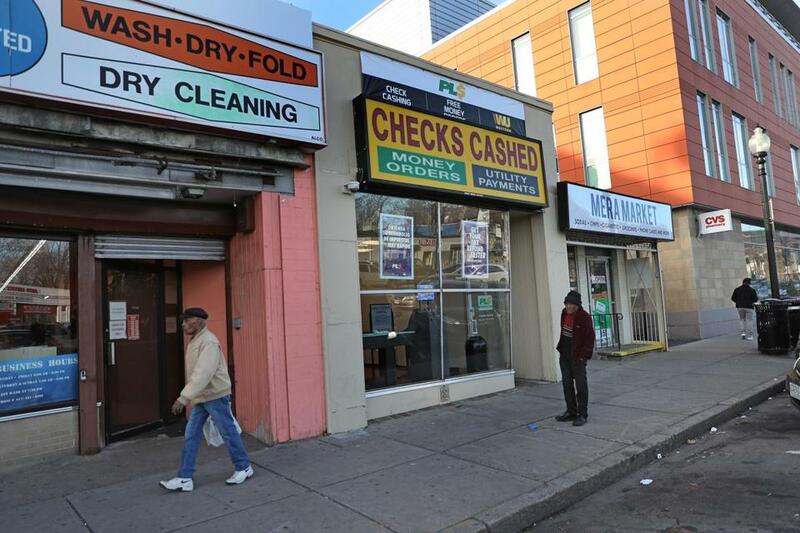 Former city councilor Tito Jackson wants to open a hybrid medical dispensary-recreational pot shop on Blue Hill Avenue in Mattapan Square, in a storefront currently occupied by a check-cashing business and a laundromat. At a community meeting in Mattapan Thursday night, former city councilor Tito Jackson laid out his vision for a community-centric marijuana store that would bring new jobs and wealth to a neighborhood once ravaged by high rates of arrest for marijuana crimes. Jackson, a former six-year councilor who ran unsuccessfully for mayor of Boston in 2017, is the chief executive of cannabis firm Verdant Medical, which is seeking approval to open a hybrid medical dispensary-recreational pot shop on Blue Hill Avenue in Mattapan Square. The facility would be built in a storefront currently occupied by a check-cashing business and a laundromat. But before it can win a state marijuana business license and begin selling cannabis products, Verdant must first secure various city permits — and beat out competing proposals for cannabis shops in the area. The two-hour meeting drew about 150 people to the Mildred Avenue Community Center to hear Jackson outline his plan. Some neighborhood residents voiced concerns about a possible increase in traffic and the proposed shop’s location just steps from a health and addiction treatment center. But many in attendance also supported the project, saying they like its local ties. The meeting was a key step in Verdant’s approval process, with city officials watching closely to gauge whether residents support the shop. To win their backing, Jackson repeatedly referenced his charitable efforts and longstanding ties to the city’s black community. He called on his experience as a politician, joking that his mother was already aware of his business — no need to call her and tattle — and saying many in the audience probably already had his cellphone number. But Jackson’s core pitch was simple: A marijuana store will likely come to Mattapan no matter what, so why not pick one run by a local? He detailed Verdant’s plans to be a good neighbor, promising the store would have modest signage, never sell to minors, and ban customers who smoked pot outside or littered marijuana packaging materials in the neighborhood. Jackson also pledged that neighborhood residents would fill at least half of the 30 full-time jobs the store would create, and that 20 percent would go to people with past criminal records for drug-related offenses — part of an effort to redress damage caused by the racially disproportionate enforcement of drug laws. Verdant is working with numerous entrepreneurs of color to help them start their own cannabis firms, Jackson said. “If we were talking about this in another industry, they would have what we call ‘transferable skills,’ ” Jackson added, drawing laughter and applause. But some in attendance were unmoved, saying they oppose the facility for more pragmatic reasons. Guale Valdez, chief executive of the nearby Mattapan Community Health Center, said he is worried that the facility will worsen already-bad traffic in Mattapan Square, and tempt patients recovering from drug addictions. Jackson said that Verdant is conducting a traffic study, but expects its store will only increase traffic from 300 to 350 patrons a day compared to the check-cashing business currently occupying the space. He also said the company will lease parking spaces for its customers in a nearby lot. Verdant, Jackson continued, will partner with the health center to minimize any impacts, but noted pointedly that a nearby CVS sells opioids and other potentially dangerous drugs. In addition to its proposed marijuana store in Mattapan, Verdant is pursuing licenses for a cultivation and retail facility in Rowley and for another shop in Provincetown.